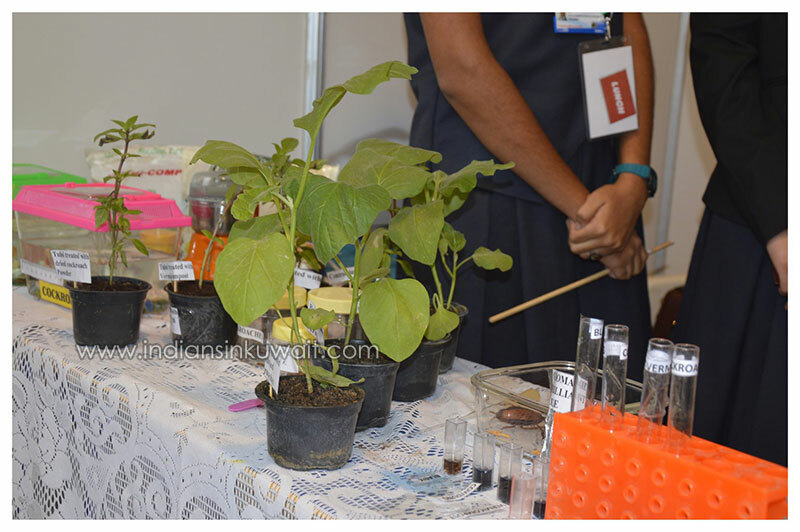 Shasthrotsav 2015, was my first attempt to participate in a science exhibition. A grade 7 girl with lot of curiosity and expectations faced the judges and audience with lot of queries and I happily replied to my level best. 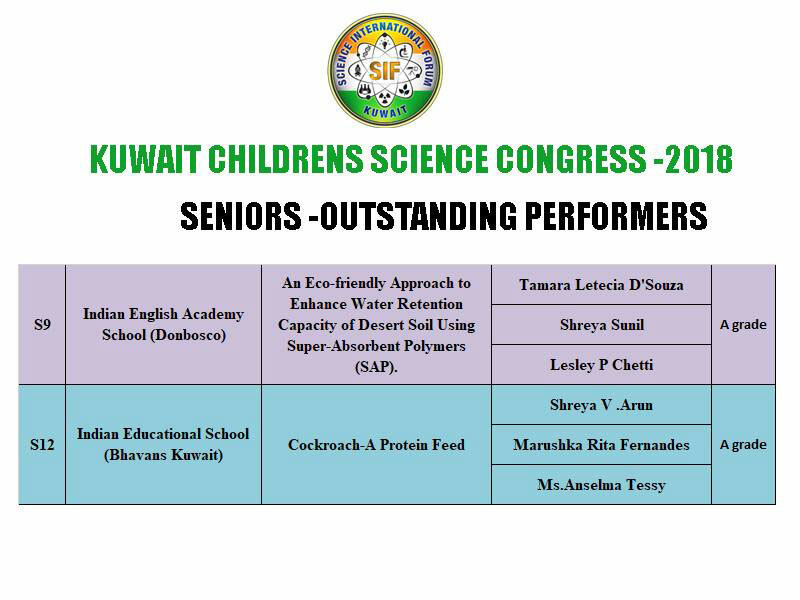 Though not a winner, the experience that I had gathered from there helped me to go a lot more through different stages of Kuwait Children Science congress and Adi Shankara Asianet Young Scientist Award. 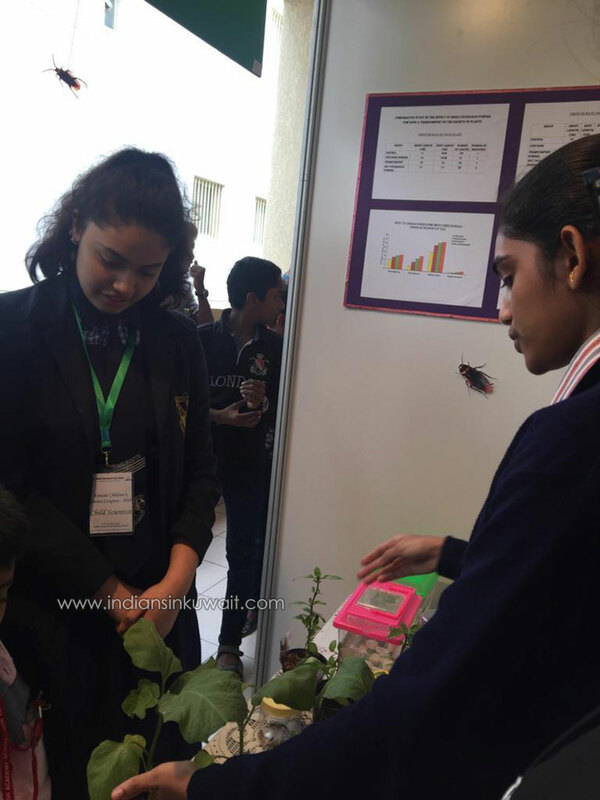 The year 2018 Kuwait children Science Congress, organized by Science International Form was held at Indian Central School on November 23rd Friday , a very chilled rainy morning. Though it’s my third time of participation, I enjoyed the coordination and team spirit experienced during the exhibition. 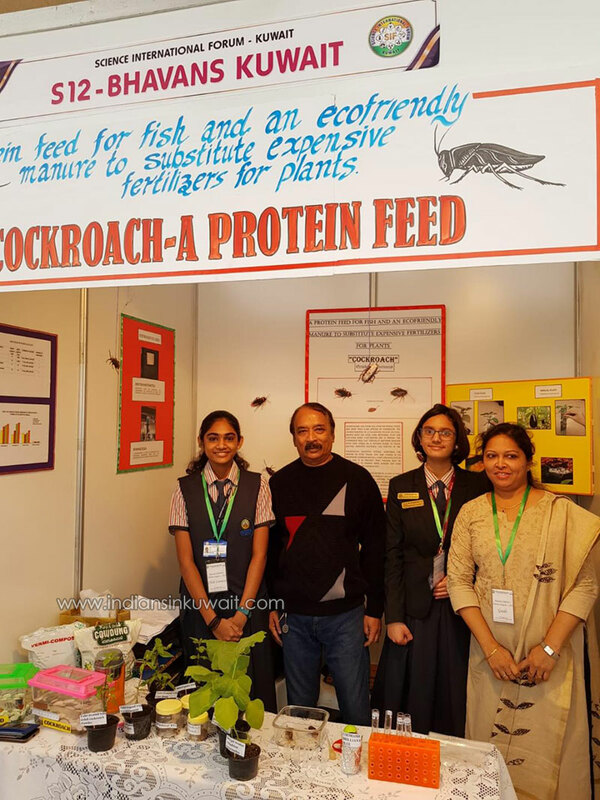 Our project was “COCKROACH---A PROTEIN FEED”-A protein feed for fish and an ecofriendly manure to substitute expensive fertilizers for plants. 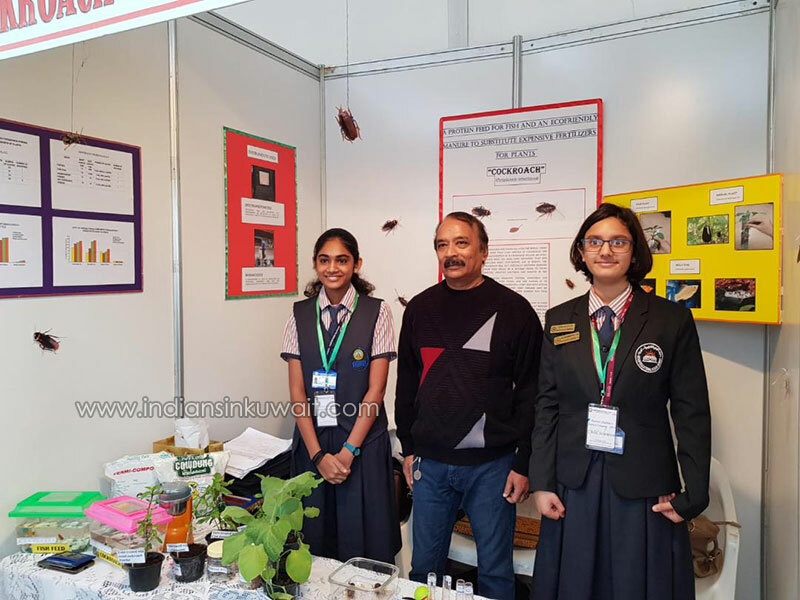 Our senior team included myself Shreya V Arun and Marushka Rita Fernandes and guide as Mrs.Anselma Tessy with the whole hearted support and guidance of Mrs.Divya Hari, without whom our project will never attain completion. This project was the concept of our respected Principal Mr. Premkumar and the guidance of sir at development of our project helped us to successfully complete it. The study of cockroaches was a challenge as it’s a new concept with not much data. So we had to start from the roots. The anatomy, its characteristic features, protein content, growth and favorable conditions were all under our study. The availability of cockroach was the next difficulty that we faced. The support of my teachers and friends helped us to collect cockroach and its protein structure, how it effects the growth of plants and fishes were under the study. The basic preparation of submission of project report, its presentation and display materials were all ready and we were well set for the presentation. After the inauguration ceremony of the exhibition, the stalls were open for the audience. The judges from KISR,Kuwait Institute for Scientific Research, started the first round of the session -visiting the stalls and asking questions related to the project .The approach of judges enabled us to clearly explain all the different stages of the projects and had expressed great mind to appreciate us for the innovative project enriches us the positive thought to come up for the exhibition every year. We were supported by our principal sir T.Premkumar and Tessy mam and many teachers had come to the venue to support us and encourage us throughout the day. We participated in the senior category and the effort put by the junior teams are very much appreciable. As our first round was over, we had to explain our project to children from various schools as the exhibition was open for the public. 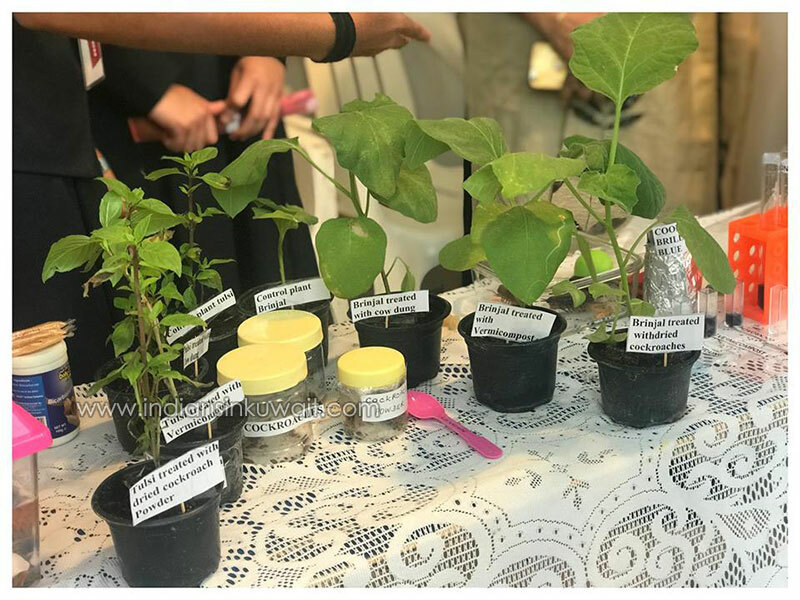 We too had a visit to all other school projects as around more than 48 projects from all the Indian schools participated. The second round was the awaited viva session. I, Marushka and our guide Tessy mam entered the session room. The viva session was the spontaneous answering session which we had to go through how we have done the project, explain the various incidents in the logbook, what the future plan is etc…and it went on. We were happy as we could perform well for the session. The day had come to an end with lot more thoughts, concepts and determination. Then on it were the result awaiting days. A week later, results were declared. We got A grade for our project. A day where our effort had become fruitful. Thanking our beloved Chairman Ramachandra Menon,our dear principal sir, Tessy mam and all the teachers from school and our parents for their whole hearted support without which we couldn’t successfully complete the project. Thanking the Science International Forum team for their support and organizing such an event every year in a successful way.